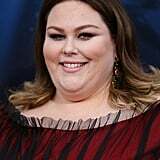 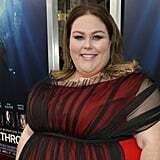 All eyes were on Chrissy Metz at the Los Angeles premiere of her latest film, Breakthrough, and she certainly dressed to impress for the occasion. 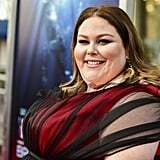 The 38-year-old actress matched the red carpet in a scarlet sleeveless gown with sheer black overlay, and although her dress certainly caught our eye, we couldn't help but give our undivided attention to her shoes. 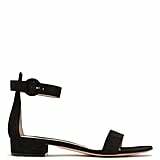 A pair of black Stuart Weitzman sandals with low block heels and ankle straps, they're Chrissy's personal go-to for red carpet appearances, and it's easy to see why. 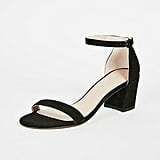 Every gal should have a pair (or two) of versatile, comfy heels like hers, wouldn't you agree? 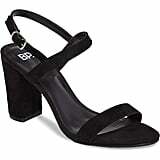 They're ideal for tearing up the dance floor at a wedding, enjoying date night sans foot pain, or, ya know, owning the red carpet like a superstar. 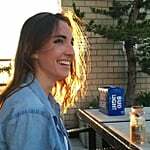 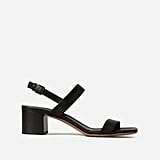 Shop Chrissy's exact Stuart Weitzman sandals ahead, then check out all the details on the green dress her This Is Us costar Mandy Moore wore to the Breakthrough premiere.